The club started it's first weekend of competition within the new Frontier Player Development League at Lents Family Park hosting Oklahoma Energy FC and came away with some very positive results being undefeated after six games. The Frontier Player Development League (FPDL) is composed of member clubs who have a U.S. Soccer Girls Development Academy (DA) program. 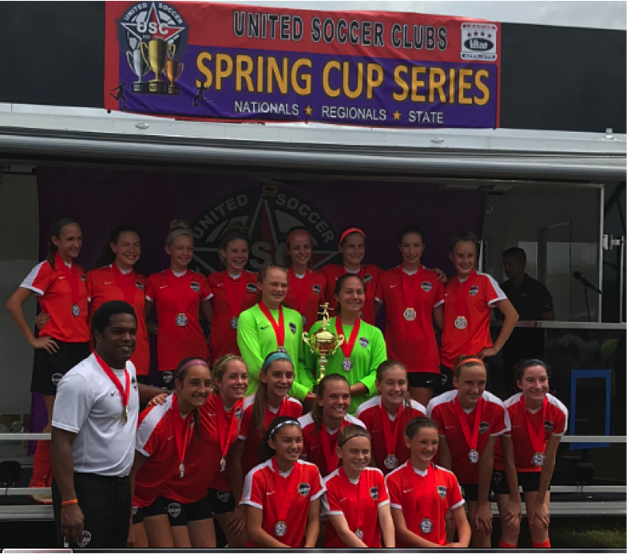 The FPDL is a pilot program league developed to address the needs of the Girls Development Academy Clubs within the Frontier Conference, namely, player pool depth, staffing and college recruiting. "For our first game I thought we came out strong. We had a lot of chances but couldn’t finish some of them. We executed our set pieces well and I was able to finish a header off a corner." 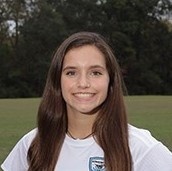 Emma Ebert, U19 FPDL. 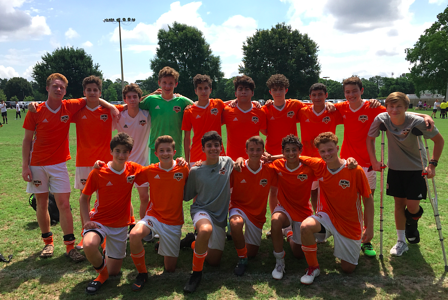 “It was great to see our teams get off to a strong start in the first weekend of FPDL games going undefeated against Oklahoma City Energy FC. 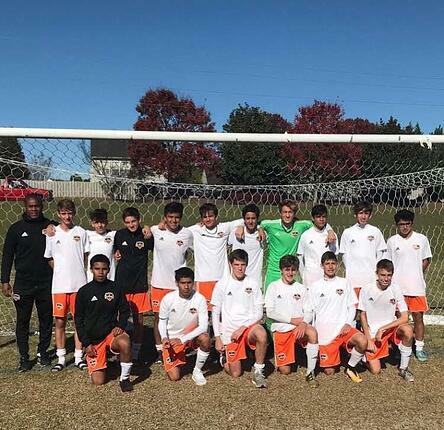 All the hard work the players and staff have put in the last four weeks definitely paid off and the level of competition and soccer played was impressive.” Darron Rush, Director of Coaching - Frontier Player Development League. 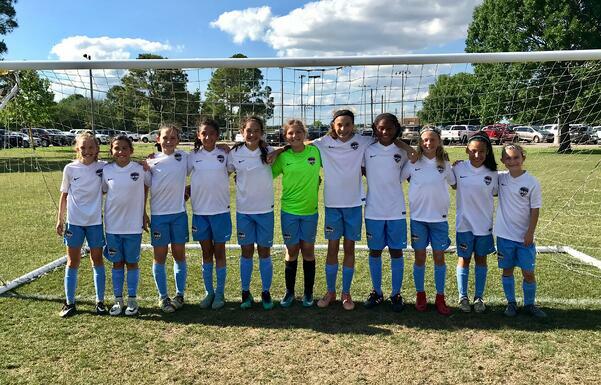 The Dash South 05 PA recently returned having competed in the U13 National Cup at the regional level staged in Tulsa, OK. Four games were played (five team bracket) and the team was made up from players from the North, South and Beaumont areas. Team Members: Nicoline Veasey, Gia Kurp, Sophie Cammon, Caroline Cammon, Madelynn Murphy, Dylan Ehlers Jessica Hinojosa, Monica Sitachitta, Alicia Audu, Melina Hickel, Malak Soliman, Payton Wilkerson, Ashlynn Neireiter & Brenya Tyson. "All the players came from different locations within the club, but everyone played together and had an amazing run at Regionals in Tulsa. 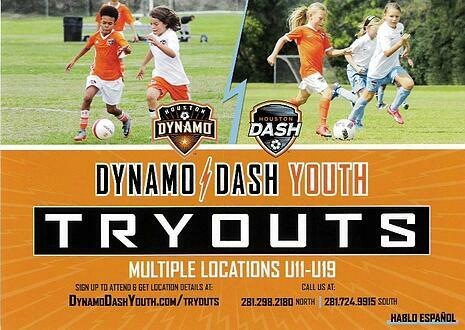 I am extremely proud to coach them all for Dash 05 PA". 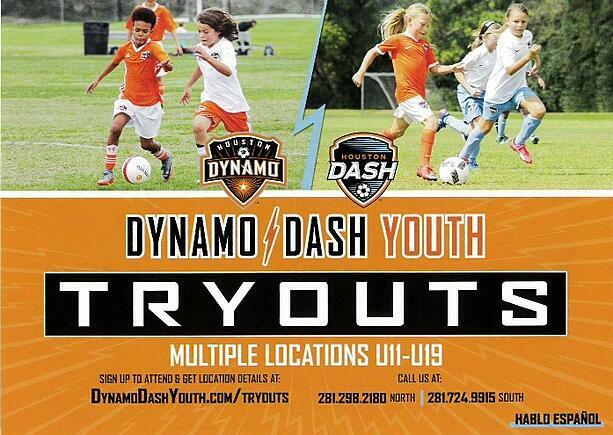 David DeVerteuil, Head Coach, Dash South 05 PA.
Picture above - Dynamo Woodlands 02 PA II beat Crush FC 3-2 this last weekend at Burroughs Park on Saturday with a winning goal in the last minute by Eddie Winstanley. Two goals were also scored by Noah Foulkes. The team will now advance to play in the South Central Regional Finals in Tulsa, OK on June 15-18, 2018. The champions of this event will further advance to the National Cup Finals in July. Team: PedroRomero, NathanStephens (GK), Christian Pavon, Cuauhtemoc Vazquez, Noah Foulkes, Emiliano Plaza, Dayton Hyde, Lucas Thoma, Luis Quiros, Sam Roberts, Santiago Vazquez, Sebastian Plaza, Tomas Cabrales, Trey Harrison, Chandler Lanier & Eddie Winstanley. "Congratulations to Coach Kieran Savage and all the players for their tremendous spring season finishing with a great result this last Saturday. Every member played their part in gaining this prestigious qualification and we wish the team the very best in the next stage of competition." Nigel Vaughan, Director of Coaching - Senior Boys. The club is very proud to announce that the Dash South 04 Pre-Academy just completed a tremendous weekend in the National State Cup finishing top of their group with seven (7) points. 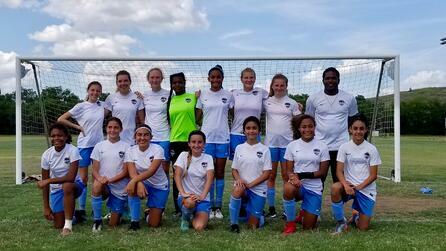 They advance to the US Club National in Aurora, Colorado (July 12-16). The team was comprised of players from the South - North - Beaumont. Team Members: Payton Hurst, Jordan Losh, Kayla Moody, Maya Palitz, Cameryn Peter, Maya Pomeroy, Avery Pyle, Rylee Robinson, Cadence Sanders, Olivia Schmidt, Ashley Washburn, Mable Pruter, Kathryn Lennon, Reaghan Thompson, Ryleigh Thompson, Kendle Repa, Yasmin Jackson, Madison Rich, Emma Salvaggio, Kara Canetti. 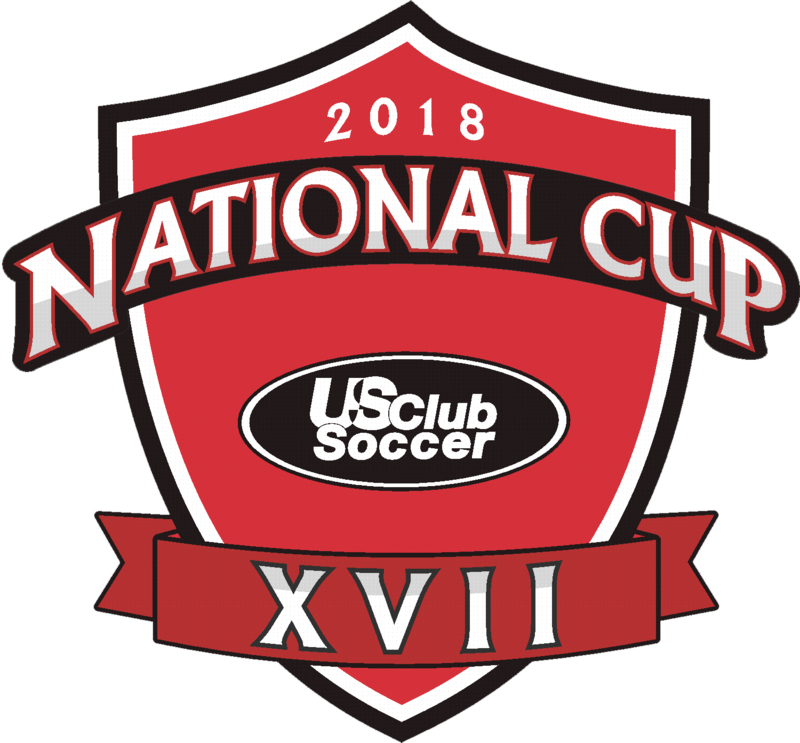 "Recognition goes to the players, Dash City Program and the coaching staff involved in putting together this team to help them win and progress to the US Nationals. We are very proud of their accomplishment and look forward to competing in Colorado." David DeVerteuil, Assistant Executive Director / Director of Coaching - Girls South. The following teams across the club have produced some outstanding results during the spring season. Picture above: Dash South 07 PA Champions - A Bracket. "I am very proud of the girls USC champions for both Fall and Spring seasons." 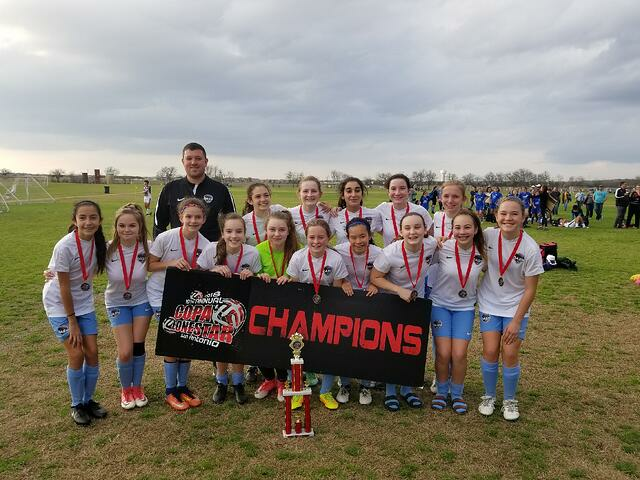 Coach Steve Williams, Head Coach Dash South '07 PA.
“Huge congratulations go to all of our Dynamo | Dash teams who have made our first year an exceptional one! We especially would like to congratulate the following teams for their hard work and commitment to excellence in achieving success with their teams in the USC this spring. We look forward to working with all these teams in the fall.” Stuart Fitzsimons, Director of Coaching - Competitive. The following teams travelled to San Antonio, TX to compete in the Copa Lonestar Tournament, February 17-18 and came out winning the event within their respective age group / bracket.